FANTASTIC 2 BEDROOM/2 BATH UNIT + BUNK ROOM AT THE LIGHTHOUSE! 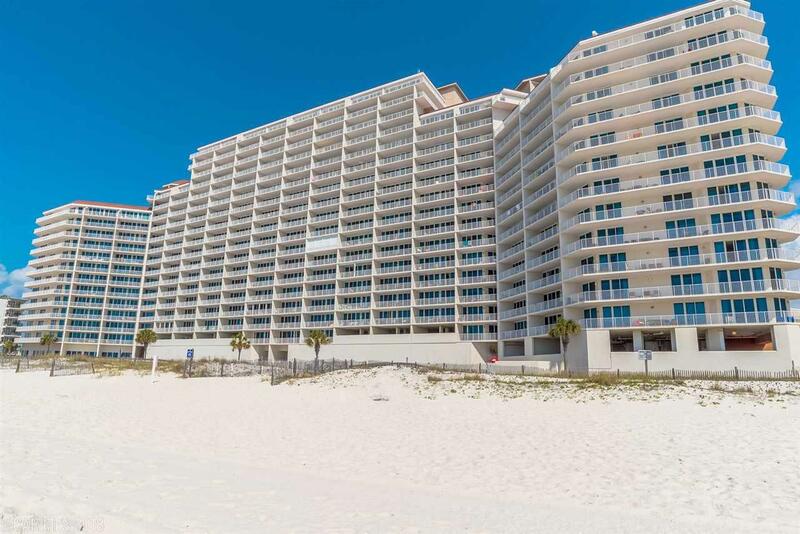 This unit offers a LARGE OPEN FLOOR PLAN w/ DIRECT GULF VIEWS, TILE THROUGHOUT, GRANITE COUNTERTOPS IN KITCHEN WITH TILED BAR, FULL-SIZED LAUNDRY ROOM, MASTER WALK-IN SHOWER AND JETTED TUB. These units rent out extremely well. Within walking distance to shopping, restaurants, sight seeing, fishing and much more. DON&apos;T MISS THIS DEAL! Directions: From Hwy 59 And Beach Blvd., Head East And Complex Will Be On Your Right.